The Stearns and Foster Joy Luxury Plush Model is the same as The Stearns and Foster Heidi Luxury Plush on Gotomattress.com. The Heidi Luxury Plush is right in the middle with comfort and softness. This mattress is comfortable and supportive and I would recommend for all three sleeping positions. If you change sleeping positions during the night the Heidi Luxury Plush would be a great choice. For those customers who do not want memory foam or Latex in the top layers of their mattress the Heidi is the only mattress in the Stearns & Foster Collection without these foams. The quality foams they use add to the comfort and plush feel of the Heidi. With a 1 to 5 comfort rating the Heidi is rated a 3. This mattress should provide comfort in all sleeping positions. Joe called asking if we had the Simmons Recharge World Class Kirby Model and if we could beat his price quote of $1999 for a Queen set. Gotomattress.com is the best place to buy your mattress because we will always have the best price guaranteed. The Simmons Kirby World Class Model is called The Dartmouth Drive on our site. 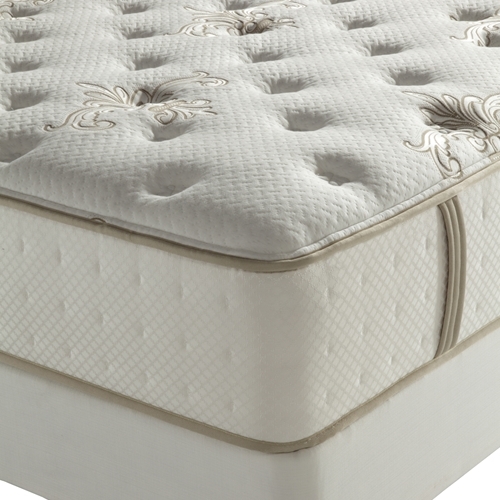 This is the ultimate firm mattress in the World Class Collection. If you are a back sleeper that likes an extremely firm bed , this is the one for you. 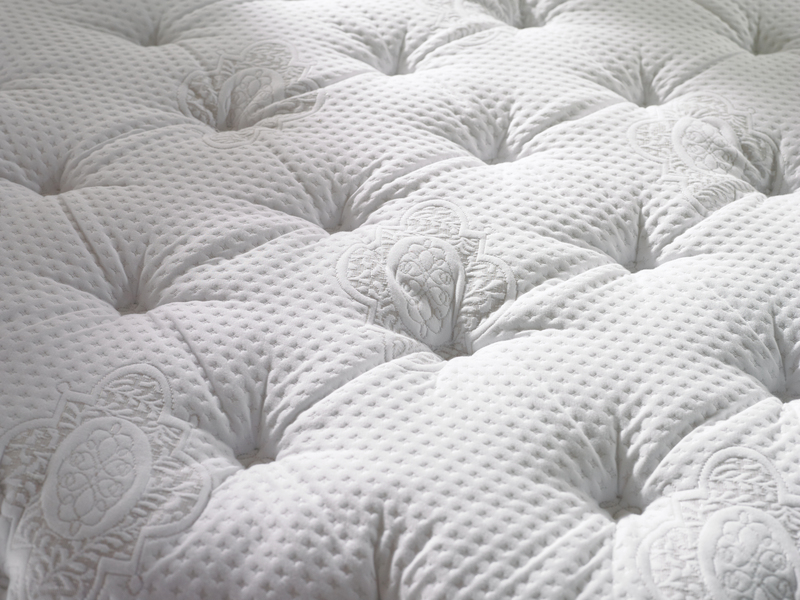 The Simmons Recharge World Class Dartmouth Drive is packed with Energy Foam, Tru Temp Gel Foam and Air Cool Memory Foam over a 1000 coil support system providing you with the ultimate back support as well as keeping you cool and comfortable throughout the night. Our price for a Queen Set is at $1498 and that includes Full Service Delivery and NO TAX. Don’t worry we got your “back” Joe. Many of the calls and E-Mails we field here at gotomattress.com are from confused mattress shoppers who ask us to do model name match-ups on products they’ve seen elsewhere. Quite a number of these requests are for beds they’ve seen at Macy’s. No wonder. This department store chain boasts around 850 stores in 45 states! They’re one of the huge companies I wrote about in Part One of this blog that has swallowed dozens of smaller regional chains. Last week a shopper called to find out the exact equivalent of their Simmons Beautyrest Classic Recharge Palisades Court Plush Tight-Top queen size set (mattress and foundation). Although she was very “Internet savvy,” she could not do this without our help, since Macy’s Website won’t give you the exact thicknesses of the various proprietary foams and upholstery layers that make up the padding on the mattress. At the time of this posting, their Internet price for these items is $1709 plus tax, which can run as high as $135 or more in some states. The identical mattress set on gotomattress.com is the Simmons Beautyrest Classic Recharge Flatbrook Tight-top Plush, shown with complete specs for $948 delivered free nearly anywhere in the “lower 48,” and tax-free! I’ll do the math for you. That’s a potential savings of as much as $900!!! That’s a pretty large chunk of change! To be fair, the department stores all run sales and promotions, usually associated with three-day holiday weekends, when they reduce their prices on bedding. Gotomattress is still going to be cheaper, and you don’t have to wait until Labor Day to get a fantastic price on a new, comfortable sleep set. We can help you too. E-Mail of call at 1-800-385-8319. We love to chat. Posted in Best Mattresses, Box Springs, Innerspring Mattresses, Mattress Buying Tips, Mattress Comparisons, Mattress Name Comparisons, Mattress Sale, Mattress Shopping, Memory Foam, Plush Mattresses, Simmons Beautyrest, Sleeping Hot.